Let’s get one thing out of the way and say that it is a very good-looking log cabin. these things are not inexpensive, so it’s nice to see that your money bus a very attractive building that looks high quality and pretty exclusive. 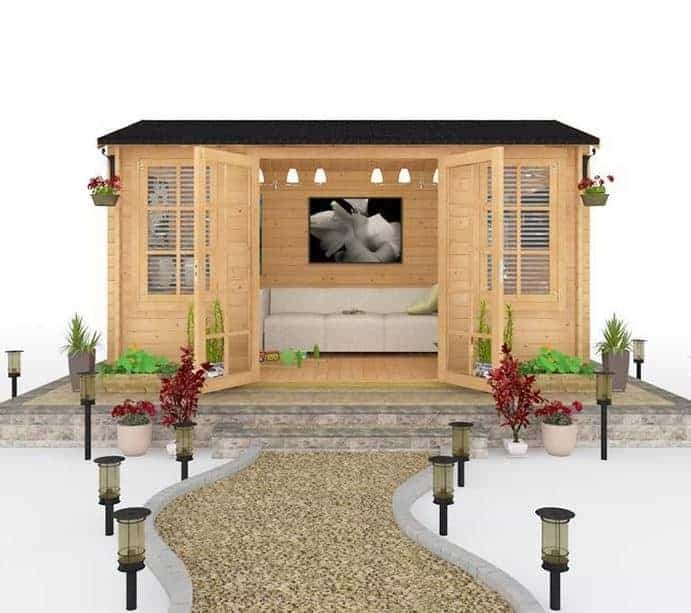 There is a lot of customisation involved in the building as well, and you can chop and change with your choices in areas like doors and windows, all to make the end experience one that should make you proud to show off your garden. 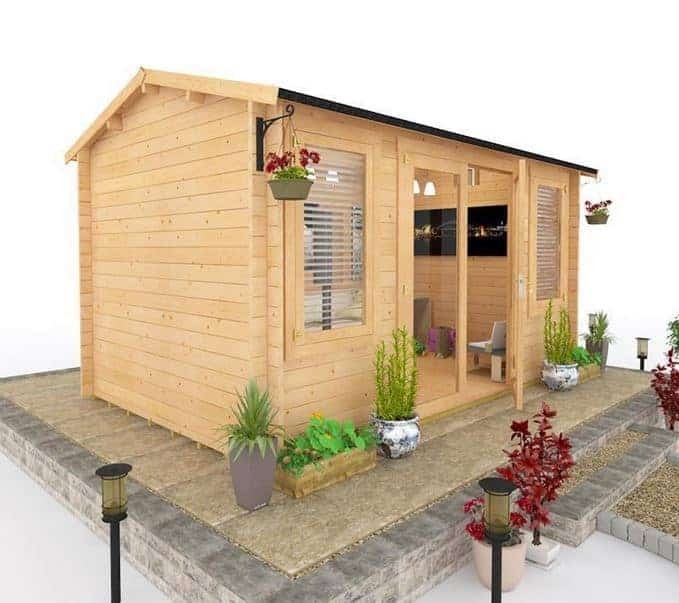 Very impressive on the outside, the interior lends itself well to a home office set up, but you can rely upon the spaciousness inside to present you with a number of usage options. 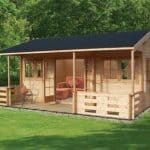 You can choose the width on this log cabin, so you have some strong options available to you immediately. If you want a truly impressive building, go for the 5.5 m wide option. With large double doors and four impressively sizable windows, you are looking at a large building that is very well lit due to the smart and attractive glazing. On the subject of glazing, your options here are very positive too. You can choose to have glazing in the Georgian style, which means you get that wonderfully traditional look that you might expect to see in a classic garden building. We like this look, and even though you may want to plump for the other option of more contemporary glazing (which arguably lets in more light) we think the Georgian look has an attractive feel to it that seems more traditional and aesthetically pleasing. But that’s a matter of personal taste. You can have single glazing (don’t let the phrase fool you, it’s toughened glass) or double glazing. The double glazing has that advantage of soundproofing. 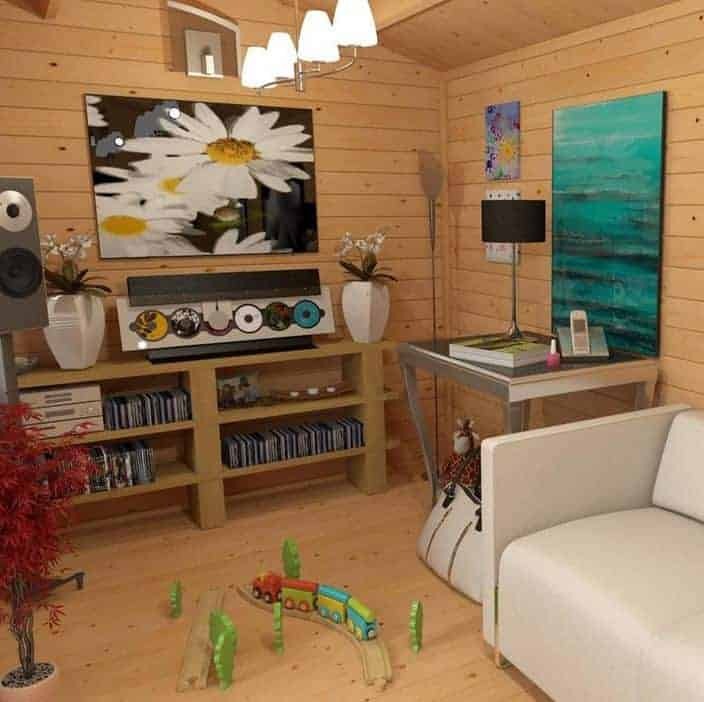 Another key feature here is the fact that the log cabin is very easy to put together. It’s obviously not a one-day affair, but with a bit of help you can get the building up and ready for use over a few evenings. For such a sophisticated building, it is ridiculously simple thing to get in place, with full and clear instructions, and more than enough fixings (and spares) to keep you confident. The roof itself is very strong, with tongue and groove work supplying you with a roof structure that is solid, and won’t let any water seep through. The tongue and groovw rok gives you a practally solid surface, as the timber locks together naetly and fully. You get a roof that will protect the interior of the building for years. And the manufacturer has done the right thing. There is a lot of choice here. Unusually for a cabin, you can opt for the chance to create your own roof and fit it yourself. This is, of course, a big job, and is truly the domain of the seasoned DIY expert. Getting this wrong could be rather costly. That aside, you can also purchase the felt roof option. Felt roofing is good and should provide a basic level of protection throughout the year. It is a simple protective felt layer laid on top of the building. The final option is shingles. You can even fit these heavy-duty shingles yourself. But we found that you needed to buy stronger and longer tracks than those that were supplied with the cabin. Shingles are the top end material, and they provide the very best protection for your interior. No, this is the part where you come in. You’ll have to treat it yourself, and this can take a lot of time. Patience is generally rewarded, and the treatment you apply will help you to have a building that lasts a long time. What is the flooring like? As expected from this manufacturer, you get a clear choice in flooring. The first choice is the standard one, and with this you get an 11 mm thick floor, which is generally viewed as suitable for standard use. This means no heavy machinery should be stored on this floor. Then you have the premium version, which is in a different class, we felt. This floor is 19 mm thick, and is really tough. You get what you pay for, and we would pay for this, simply because it will last a lot longer. Having said that, both floors have tongue and groove work in them, so they are both tough and capable of withstanding rainwater. That solid tongue and groove effect makes for a strong floor whichever thickness you choose. In a word, excellent. If you’re going to put it up yourself, make time for it over a few days. 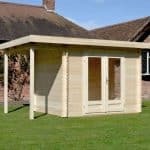 It’s a large, high quality building that requires plenty of effort and craftsmanship. 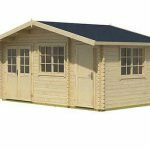 Of particular note is the tongue and groove in the roof, and the fact that you get an opening window even in the small model. One niggle may be the lack of treatment. This takes time to build and you could find yourself facing a major project if you are not careful. 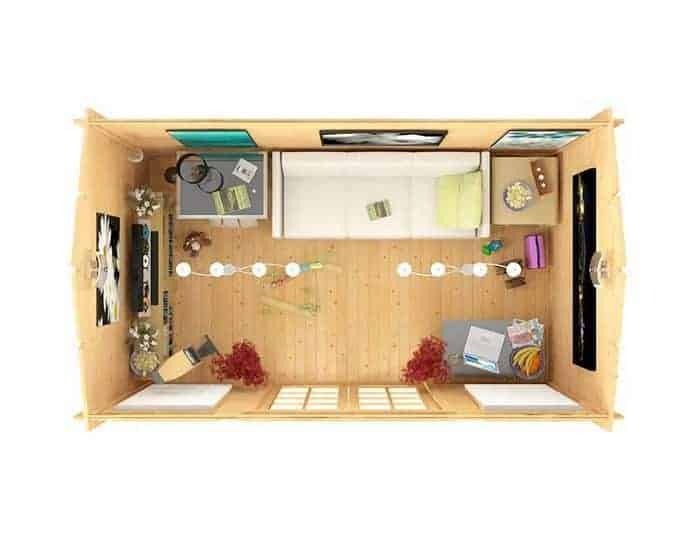 But putting that aside, once it is up, it looks fantastic and it provides you with a sturdy extra room for your home. 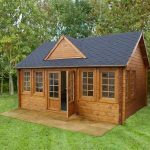 The general toughness, from the roof to the floor, means this is a solid build that should reward you with many years of usage. 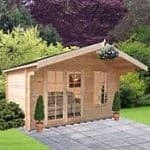 It is a high quality log cabin, and would look great in anyone’s garden. 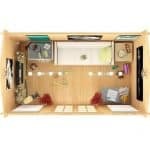 I have recently purchased the large Dorset person fitting has let me Down. Can I please have instructions on line to download. 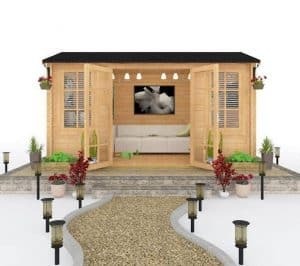 Hi Jim, the best thing to do would contact Garden Buildings Direct (they make the product). You can contact them here.